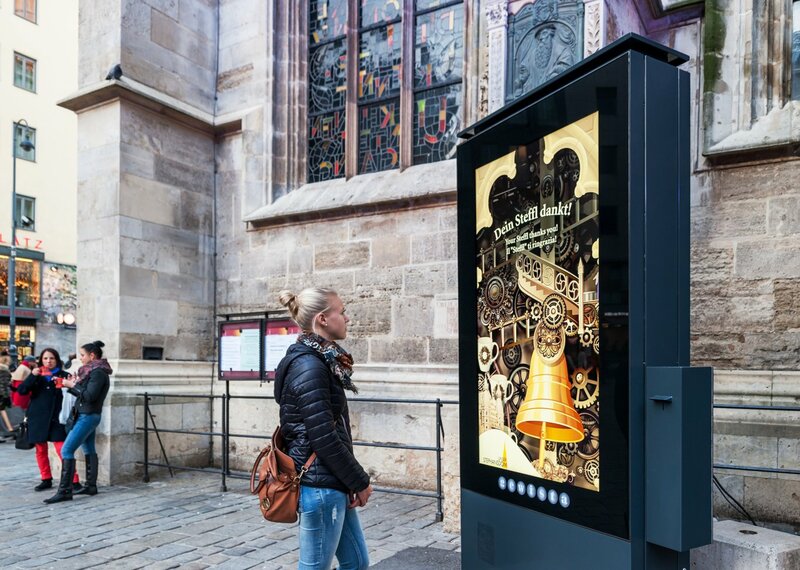 The JCDecaux December Best Creative Solutions campaigns were those where advertisers picked the right moment to captivate their key audience with engaging communication and interactivity. Pretty Shady is a campaign created by Cancer Institute New South Wales to encourage young Australians today to be more informed about the risks of skin cancer and to be the generation that stops the spread of the disease. In collaboration with JCDecaux Australia and UM, Pretty Shady transformed a bus shelter at a key location – Bondi Beach – into a claw machine arcade game filled with tubes of Pretty Shady branded sun screen. The public could play the game and get a free sample for their day at the beach. Australia has the highest rate of skin cancer in the world and spreading awareness and preventative knowledge is the key aim of Cancer Institute NSW. This campaign was effective on multiple fronts; it was engaging and fun, it had a clear message and it directly achieved the aim of preventing cancer by allowing the public to take away the key preventative – sun screen. Unser Stephansdom is a fund that has been supporting the restoration of St Stephen’s Cathedral in Vienna for 28 years. To encourage donations and to raise awareness of the cause at Christmas time, Gewista helped the fund by setting up a custom coin- operated digital panel at the famous Viennese Christmas Market on Stephansplatz. When a coin was dropped into the machine, an engaging fairy tale-like animation was triggered showing the journey of the coin through an old mechanism of cogs and gears. The delighted passers-by were in turn prompted to make more donations to see the sequence again. The campaign directly raised funds and awareness of the cause in a simple and elegant way that reflected the Christmas spirit and the history of the Cathedral. JCDecaux Creative solutions create bespoke creative outdoor solutions from concept to on-street reality. Our teams worldwide are dedicated to pushing the boundaries and challenging the conventions of Out-of-Home advertising by delivering outstanding and truly memorable campaigns. Last year, we have implemented over 1,600 Creative campaigns in over 45 countries worldwide. By using JCDecaux Creative Solutions, clients are able to optimise the impact of their Outdoor campaigns and to maximise the engagement with their target audience. Wish to find out more? Get in touch with our international team to find out the possibilities or discover how JCDecaux’s Creative Solutions add an extra dimension to campaigns to create truly memorable impression on your audience.